Official local distributors are available in Israel, Russia, Saudi Arabia, Singapore, Spain, Thailand and Vietnam. If we don't have a distributor in your area, you may simply order from our international online store by following the instructions below. 2. Look around the BrillKids Shop. 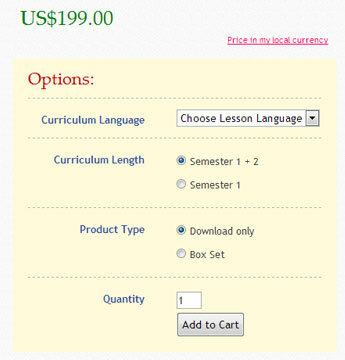 Once you find the item that you want to buy, click on the corresponding "Learn More" link. 4. When you're done with customizing your item, click on the Add to Cart button. 5. Review the items in your Shopping Cart. 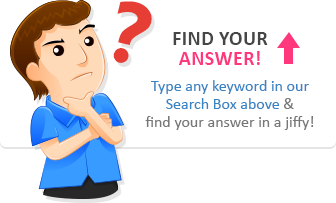 In case you want to add more items to your cart, click Continue Shopping. 6. Do you have a Discount Code or Affiliate Code? Go to the Discount or Affiliate Code box and enter your code, then click the Use this Code button. 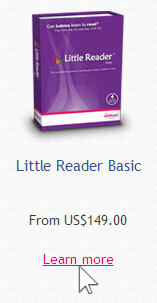 The page will update automatically to apply your discount. 7. Are you buying a physical product? 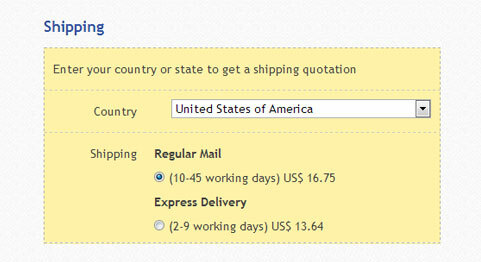 Go to the to the Shipping section and select the destination country/territory and your preferred shipping method. 8. Check your Shopping Cart and make sure that you're not missing anything. If everything looks good, click the Proceed to Checkout button. 9. Sign in to your BrillKids account (if you haven't done so already). 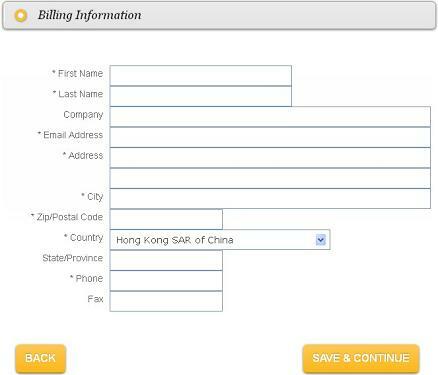 This is important because your purchase records and digital purchases will be stored in your BrillKids account. Click Save & Continue to go to the next step. 11. Fill in your shipping information (if you're buying a physical product). 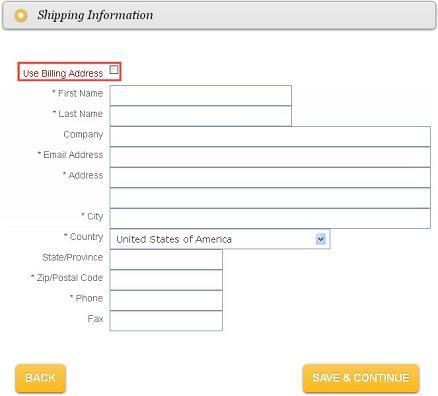 If you'd like to have your package shipped to the same address as written in the Billing Information section, just check the box for "Use Billing Address," then click Save & Continue. 12. 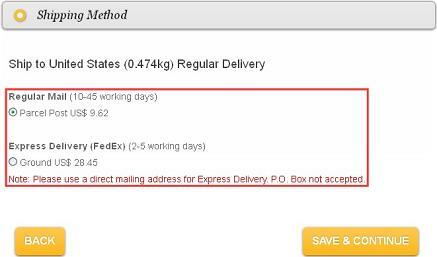 Reconfirm your preferred shipping method then click Save & Continue. 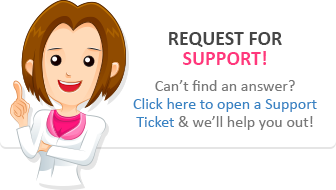 13. Review your order once again, then click Save & Continue. 14. 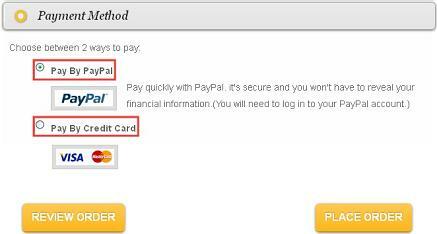 Choose which charity you'd like for us to donate 10% of your payment to, then click Save & Continue. 17. Once finished, you will see your BrillKids receipt, which also includes the license key(s) for your purchased learning system or content (if any). If you like, you may print the receipt for your records. 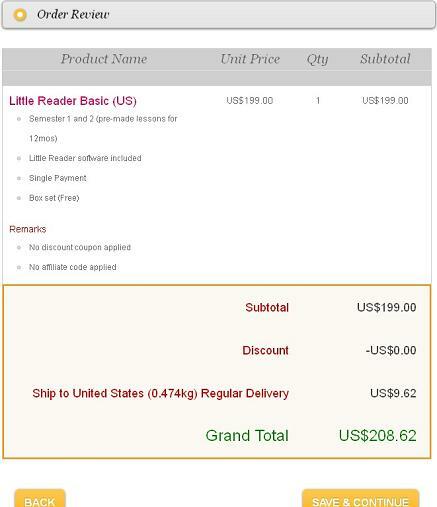 Note that we will also send a copy of the receipt to the email address associated with your BrillKids account. If you purchased a physical product: We will send you a separate email with your delivery tracking information as soon as your package is sent out.